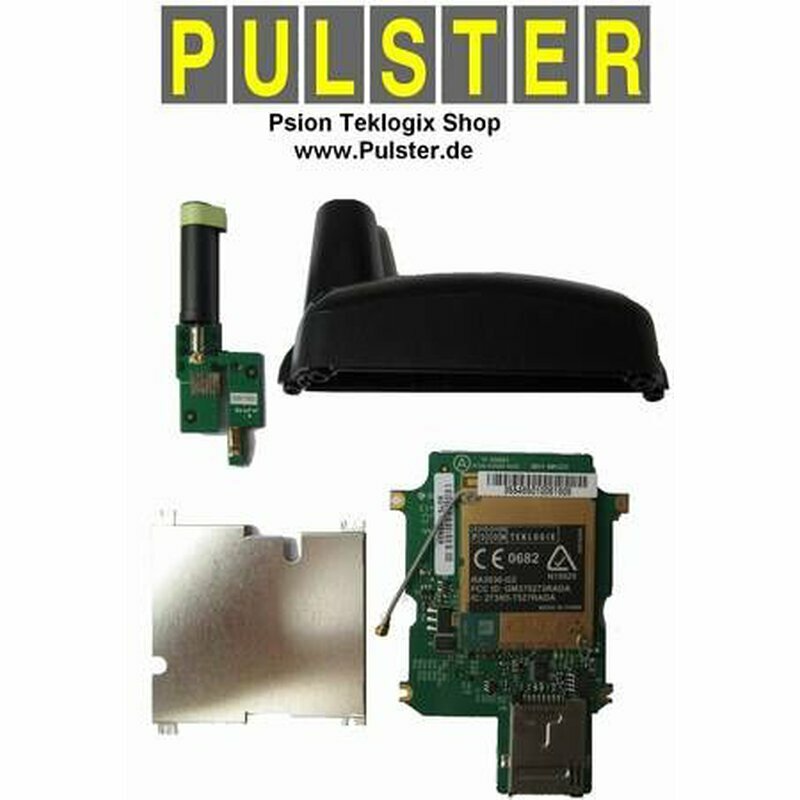 Psion Workabout PRO extension modul for GSM/GPRS/EDGE - 7527 G2+G3. Psion Art.No. : RA3030-G2 "Radio GSM/GPRS/EDGE xMod (with CF Mech Stop, end Cap)". This extension modul allows voice- and data- communication via GSM/GPRS and EDGE standards. Easy installation on the xMod 100pin-socket, which is easily accessible removing backplate and topcap. The installed radio card is detected automatically, no driver needed. Antenna is optimized for best reception, a modified endcap is included (can be ordered separately, see "endcap" section). The SIM-card is accessible from the battery compartment now. A simultaneous use with Bluetooth and WLAN/Wifi is possible, combinations with RFID can be found in the FAQ. Works with Workabout PRO Modell 7527C/S G2+G3 (not suitable for 7525-G1). What you get: GSM/GPRS/EDGE xMod modul, antenna, modified endcap, shroud and installation instructions.